shop Anti-Slip Bath Mat with Suction Cups Case 4 | bargainbrute. 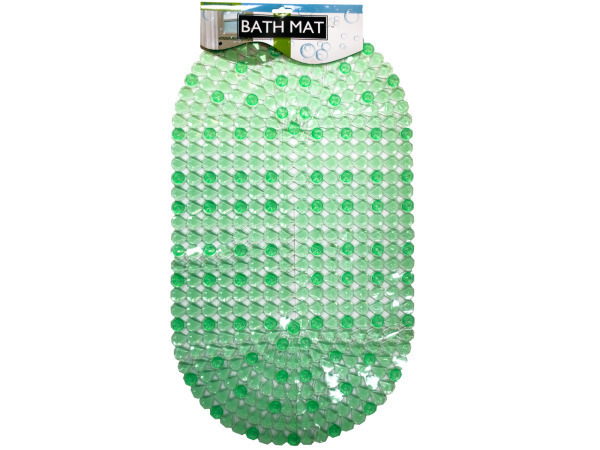 Prevent slips and add a splash of color to your bathtub or shower with this Anti-Slip Bath Mat featuring a durable, transparent green plastic mat in a connected jewel design with large suction cups to ensure strong fastening to bathtubs. Ideal for any location where slippage is a problem. Measures approximately 15" x 27". Comes packaged in a poly bag with a header card.